15. 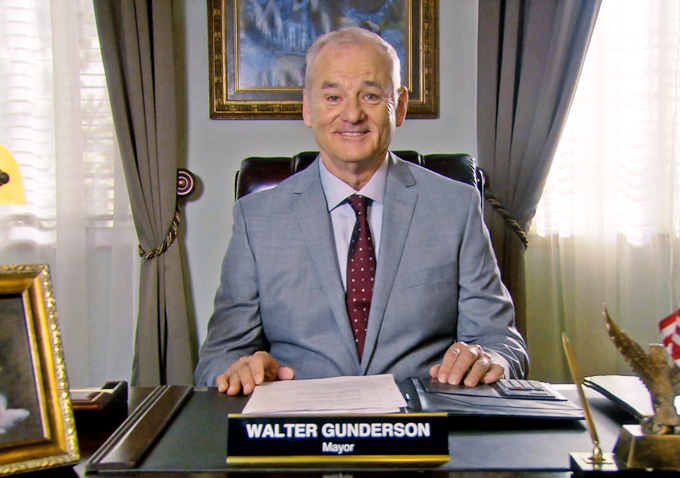 “Parks and Recreation” – Oh, hi Bill Murray! Amy Poehler made it perfectly clear who her dream guest star was for her beloved NBC sitcom, but the fact she was able to snag Bill Freaking Murray is still somewhat shocking. Maybe it’s because, in the beginning, “Parks and Recreation” was snagging guest stars like three-time NBA All-Star Detlef Schrempf before later drawing in big fish like Michelle Obama and Joe Biden! Because of the slow, steady escalation of famous faces, it was still rewarding to see appropriate, well-placed and mega famous guest stars pop up more and more regularly. Seeing Murray, though, is always a special treat. Liz: It’s rare that violence looks so good on TV, but the jaw-dropping single-take fight sequence that concluded Episode 2 of “Marvel’s Daredevil” kept us on the edge of our seats. Ben: It’s rare that violence looks so fake on TV, especially when paired with an elaborate single-take clearly meant to amp up the believability of Daredevil’s hallway fight. There are so many phantom punches in this scene, I thought it might be James Caan under that mask. The real juice behind this twist was how it was structured within the show. No, not how Adam (Freddie Stroma) backing out of his commitment to run away with Rachel (Shiri Appleby) mirrored the reality show staple of contestants going back on their word, but how “UnREAL” broke up the hunky Brit’s offer with Rachel’s decision to accept. We knew she was tempted when the final shot of Episode 9, “Princess,” was of her ever-lurking smirk, but in the week between episodes it was hard to believe she’d actually say yes. So when we saw her in bed with Jeremy to open up the season finale, everything made sense…until she got up, left him a note on the pillow and took a taxi to meet her rich beau for a private plane ride away from reality. Too bad Quinn (Constance Zimmer) got to him, otherwise Rachel might have actually been happy…for a while. When Jerome (Cameron Monaghan) showed up in “Gotham” Season 2 with his bright red hair and maniacal laugh, everyone, and I mean everyone, assumed this was the next Joker. And after getting to know him a little bit, that was more than fine by us. 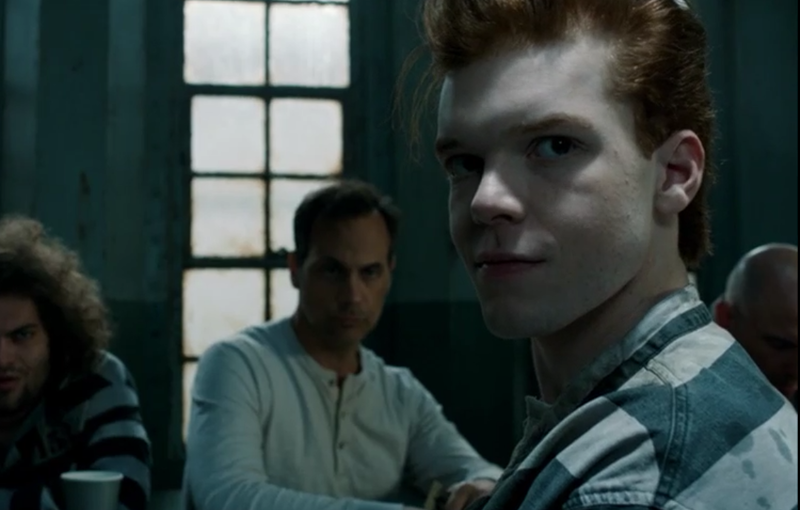 While no one will come close to replicating Heath Ledger’s pitch perfect performance as the Clown Prince of Crime, Monaghan was an unnervingly gleeful presence on “Gotham,” capturing the dark and gloomy vibe of the show and repurposing it as only a crazy prankster could. But then…he died. Not only did he definitively get offed (via a knife to the throat from James Frain’s villainous Theo Galavan), but he was bumped off before he could assume the title we all expected him to obtain. Instead, his legacy will spawn the future Joker, giving Jerome both the first and last laugh. 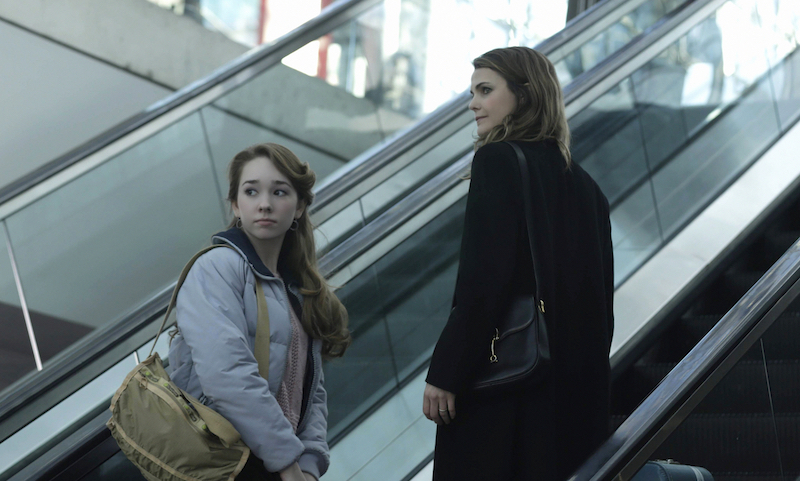 We’ve already heaped praise on “Stingers,” the 10th episode of “The Americans'” sterling third season. And, while Paige’s revealing sit-down with her parents was certainly gripping, it was what she chose to do with that information that was truly shocking. In the season finale, a guilt-ridden Paige reached out to the only person she still trusts — Pastor Tim — and confided in him her family’s deepest, darkest secret. In doing so, she very well may have sealed his fate (Tim is totally getting got). 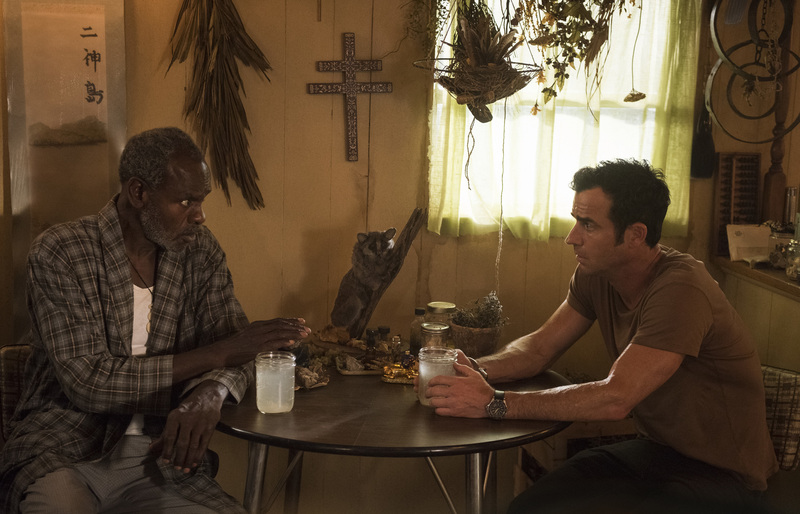 But if anything happens to Paige’s religious adviser, odds are the Jennings’ first-born will further distance herself from the family. How this plays out is a huge draw for the upcoming fourth season, but Paige’s decision to go against her parents’ word was a whopper for Season 3. The final season of Matthew Weiner’s landmark television drama was filled with surprises, from Peggy and Stan’s last-minute romance to Don’s best ad ever. But the most unexpected occurrence was also one of the saddest, as Joan was pushed out of her partner position after McCann Erickson partnered with SC&P despite doing nothing wrong. Well, not nothing. She was being a woman, and being a woman in 1970 put you at a distinct disadvantage when it came to decision-making, negotiating and general business activity. Luckily, Joan ended up on her feet, but watching her get manhandled (pun intended) out of her dream job was an excruciating viewer experience; one that we couldn’t believe even though all that sexism was absolutely authentic for the time. Don’t let the man bring you down Joan, and know we all were with you in Jim Hobart’s office. Steven Soderbergh’s medical drama isn’t overtly concerned with shocking its audience, as the general mood, sterling performances and captivating camerawork provide more than enough attractions on their own. Yet Season 2 featured one helluva twist early in its run. Dr. Algernon Edwards (Andre Holland) has a secret wife! Yes, even after spending all of Season 1 (and parts of Season 2) courting — and impregnating — Cornelia (Juliet Rylance), Algernon was already married to a woman he’d left overseas. 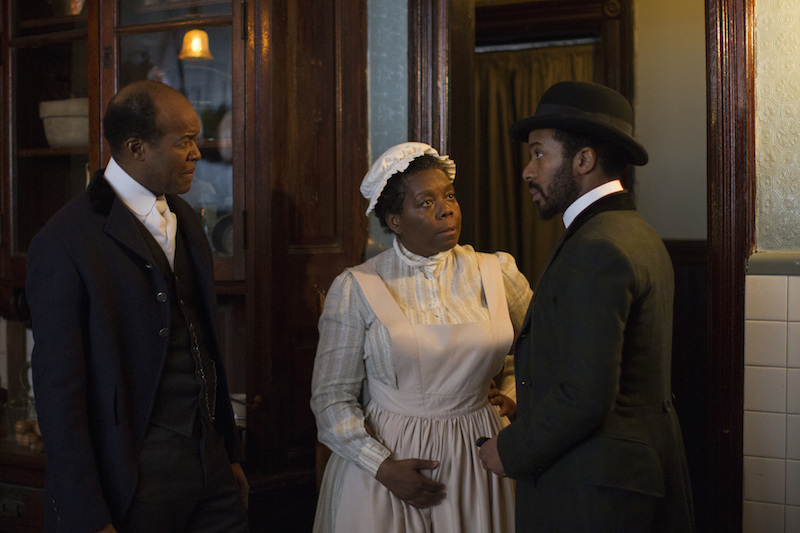 Though he’d hoped to leave her there, she made a dramatic and life-altering appearance at his parent’s house in Episode 3, “The Best with the Best to Get the Best,” that set a fine path for “The Knick” to follow for the rest of the year. Surprising, intriguing and progressive to the story, this is the kind of twist every show should strive to create on their own. It’s not so much the fact that Olivia Pope (Kerry Washington) exercised her right to choose in the “Scandal” midseason finale, but the fact that it was so quietly and intimately slipped into the narrative — before eventually exploding Olivia’s relationship with Fitz (Tony Goldwyn). 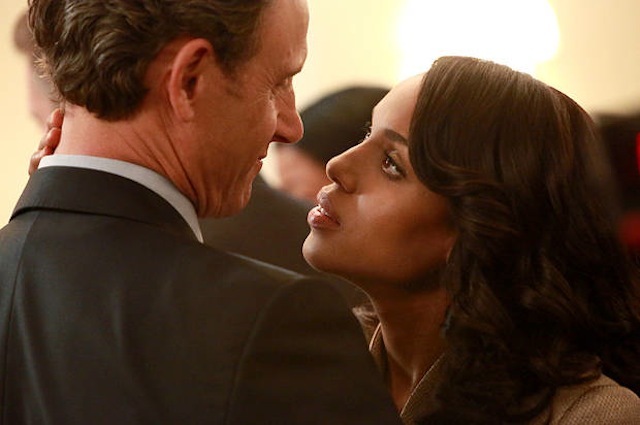 “Scandal” has had its ups and downs over the last couple of years, but the way it got real about one of television’s most unhealthy couples was a major surprise. Those last 10 minutes, you guys. Those last 10 minutes. Everything “Hannibal” ever was or could be came together in those last 10 minutes, which featured our favorite Murder Husbands fully embracing their true natures — as well as each other. “Hannibal” left us gasping at the end with an ending as perfect as it was shocking. While we haven’t quite gotten over that one last awful twist, Bryan Fuller’s beautifully horrific drama will be missed. 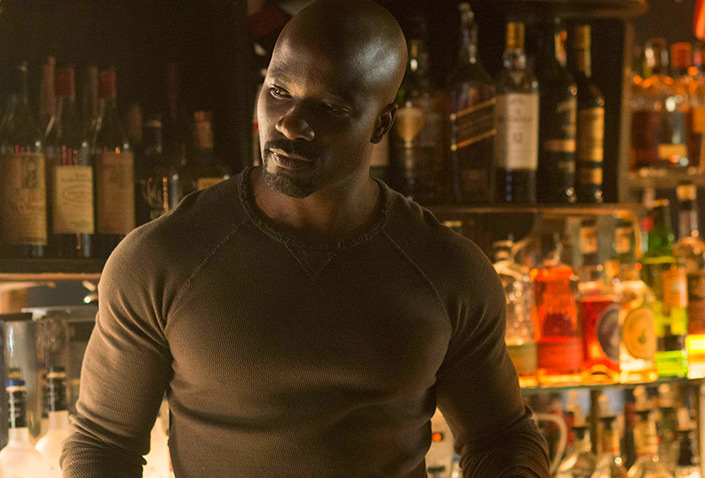 The complicated romance between Luke Cage (Mike Colter) and Jessica Jones (Krysten Ritter) was one of “Jessica Jones'” key emotional undercurrents, tied as it was to Jessica’s ongoing feelings of guilt and self-abuse. So when, in Episode 12, “AKA Take a Bloody Number,” they have a sweet and genuine moment of connection, it’s an emotional high point for the series… that’s revealed to be a total lie thanks to the manipulations of Kilgrave (David Tennant). The following fight is one of the season’s most brutal. Both Jessica and Luke can take a beating physically, but emotionally they’re as wrecked as the audience. The second half of USA Network’s compelling hacker drama featured a ton of twists and reveals, but the biggest was probably the full truth of who Mr. Robot really was. Even if you had your guesses about his identity early on (even Christian Slater had a clue, based on the first script), the depths of what it meant for his relationship with Eliot (Rami Malek) — and what it means for Season 2 — was a major game-changer. It’s weird for a show to make this list for something it didn’t do, but the controversial decision to tease a beloved character’s potential demise for a good solid month was more shocking than the scene itself. 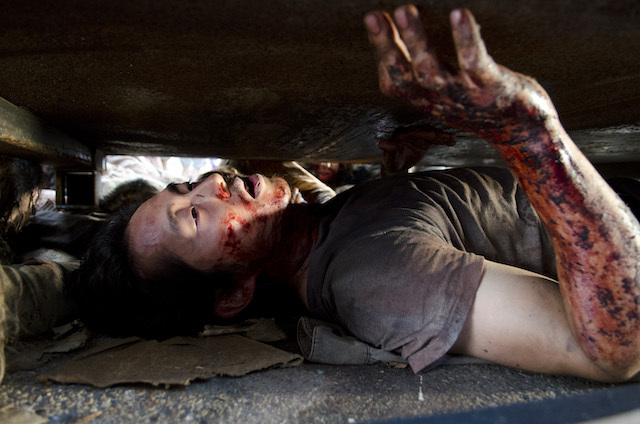 Technically, we’re glad that Glenn (Stephen Yeun) remains among the living, but it was still a shock — and a bit of a cheap one, at that. Frankly, most of Andrew Jarecki’s true crime miniseries was filled with shocking moments big and small. 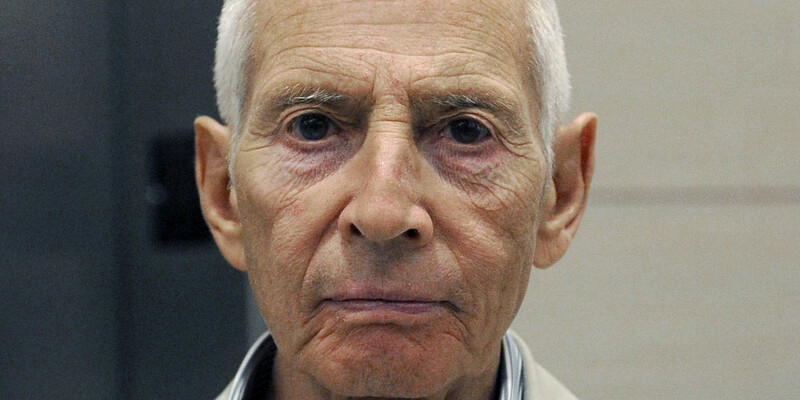 Tracking the constantly creepy journey of the elusive Robert Durst led us down some dark roads, but it was only when our suspicions were confirmed by the man himself that we lost our breath. After his final interview, when Durst was presented with irrefutable evidence of his guilt, the cagey millionaire excused himself to the bathroom and confessed to the murders in private — or so he thought. Durst’s mic was running the whole time, a fact his lawyer informed him of after the damage was done. His confession sealed the deal on a thorough reexamination of an aging case, and the moment he said the words did nothing short of shock the world. Maybe it’s not even the fact that in the final moments of Season 5, Jon Snow’s compatriots turned against him. Maybe it was just the fact that after a season of death and misery, we seemed to be reaching something resembling peace… before the producers squeezed in just one more horrible thing under the wire. Oh, and also, Jon Snow was maybe one of the show’s few remaining likable heroes, meaning “Game of Thrones” without him could be very very different. (Which is maybe why HBO’s already starting to hint that his story isn’t technically over yet?) Either way, Season 5 left us breathless to find out what happens in Season 6. Episode 4, “Orange Sticker” – Mary woke up her first night in Miracle. Episode 6, “Lens” – Kevin tells Nora about Patti. Episode 3, “Off Ramp” – Susan, the recovering GR member, drives her van into oncoming traffic. Episode 2, “A Matter of Geography” – Kevin wakes up in an emptied lake with a cinder block tied around his ankle. Episode 5, “No Room at the Inn” – Mary is pregnant! Episode 10, “I Live Here Now” – The GR takes over Miracle. Episode 9, “Ten Thirteen” – Evie faked her departure! Episode 8, “International Assassin” – Every. Single. Second. Episode 7, “A Most Powerful Adversary” – Kevin drinks the poison, Grandpa Murphy shoots himself and Michael drags Kevin’s gurgling body outside.